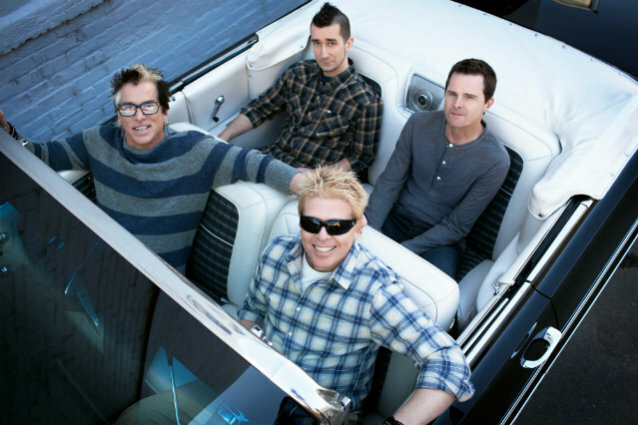 THE OFFSPRING lead guitarist Kevin "Noodles" Wasserman has once again confirmed that the band is putting the finishing touches on its long-awaited tenth studio album — three years after releasing a single called "Coming For You". Speaking to Q103's Candace, he said (hear audio below): "The record is almost done — legitimately almost done. I think we have 10 songs done and a couple of more we're working… just writing lyrics for. And then we might do one or two more on top of that. As for when fans can expect to see the new OFFSPRING record released, Noodles said: "It looks like it's gonna be fall. We were hoping to have it out this summer. I was recently informed it looks more like fall now." According to Noodles, fans may get a chance to hear a new OFFSPRING track during the band's live shows this summer. "We've got one of the new songs already ready to go," he said. "It's one of the upbeat ones. The working title is 'Ripping'. So it kind of gives you an idea of what the song is about. And I think that we'll be playing that over the summer."